UT Idea Lab | Student Startup Camp is back in Tartu! 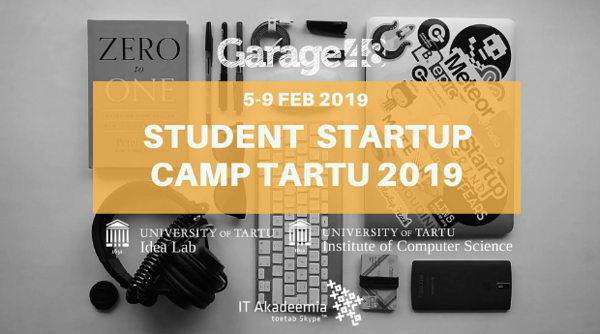 The Student Startup Camp (SSC) is back in Tartu! The 5-day course consists of teamwork, intensive mentoring, hands-on talks on specific topics around launching a tech startup, visits to the startup and tech centers in Tartu and inspirational talks by the #EstonianMafia founders, including people behind Garage48, Fortumo and many more. No previous experience required! Students from all universities are eligible. Please register before 25th of January. More info on Garage48 website. The Student Startup Camp is supported by HITSA and IT Academy.